He was born on March 1968. He finished elementary and high school, as well as the Military Academy, to acquire higher professional education. His working career was serving in the Serbian Army units on various duties. He is retired from the Army of Serbia. Aleksandar is one of the founders of SNS. 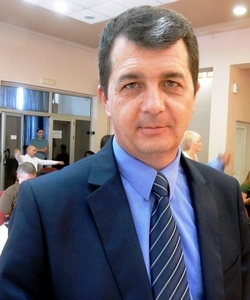 In the period from 2012 to 2015 he was the head of the parliamentary group of SNS in Palilula Municipality and since June 2014 - Vice President of the Palilula Assembly. From June 19 to July 18, 2016, he performed the function of President of the Assembly of Palilula Municipality. He is active in recreational sports, married, father of one child. He speaks English. Nikola Bozic was born in Nis in 1985 and finished elementary and secondary school also in Nis. 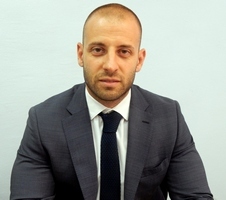 He graduated at Alfa University in Belgrade as a graduated economist and got master degree in Nis on Faculty of work safety.From 2004 to 2014 he worked in `Eurokomerc` firm as a accountant and from 2014 is elected for the manager of financial and accounting sector.From 2012 Bozic has been working as a Coordinator on project activities in Palilula Municipality. He speaks English . He is a member of SNS party.